The holiday season, for most people, is a happy time of year spent with family and loved ones, but we can’t forget about those who are not so happy. May it be because of death or illness in the family, physical or mental, or for many other reasons. 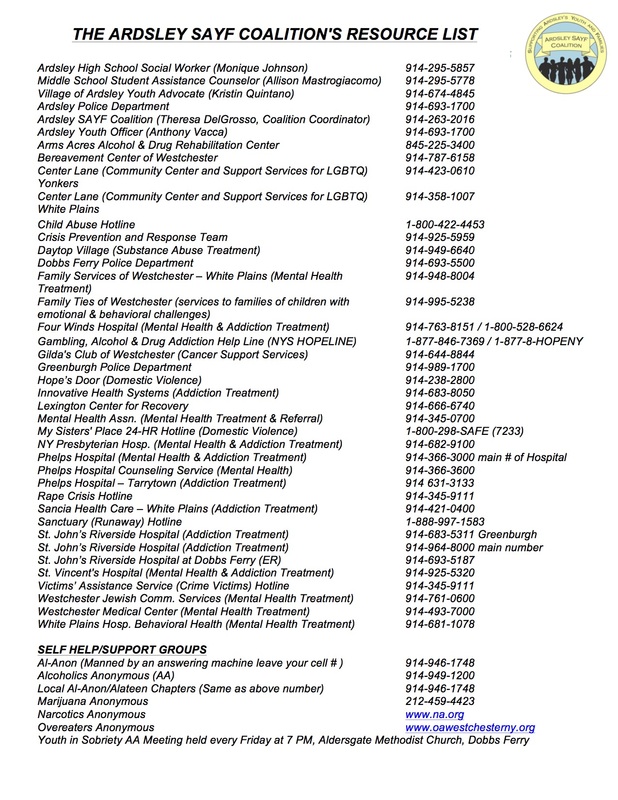 With that in mind the Ardsley SAYF Coalition has compiled a resource list of where you can turn to for help in our community. We hope you find this resource to be a helpful one and we wish you and your family a happy and SAYF holiday season. Previous Post Narcan Training Thursday, 12/15 – Register Now! Next Post Thank You To The 22 Ardsley Businesses That Passed Their Compliance Check!